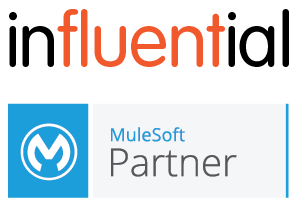 The New Year is well underway, so it’s about time for another London MuleSoft Meetup! Members of our Influential teams including MuleSoft Development and MuleSoft Recruitment will be in attendance at what is always a must-attend event for those working in the MuleSoft environment in London. If you are working with MuleSoft technology, or your business is looking into adopting the tech, why not come along? It free to attend and is the perfect opportunity to engage with expert MuleSoft practitioners. So please register to attend the event, enjoy great talks, free food and amazing demonstrations – and of course meet with our Mulesoft teams! This month’s hosts are Deloitte and the event takes place on Wednesday 24th January at 6:30 pm at WeWork, Waterhouse Square, 138 Holborn, EC1N 2SW. Note: For those that signed up early, note that this is a change of address from the original venue! Deloitte will present (and also open the floor) with a few examples how well designed APIs and Integration Solutions have been delivered on the MuleSoft platform. We hope this topic also encourages future presentations with a “Show and Tell” theme, so don’t miss the kick-off. And of course not forgetting Pizza, where you’ll also have the chance to have a play with some new technologies Deloitte has in its office including a mind control Nerf Gun, Oculus VR goggles, IOT Nespresso machine and 3D printers! Speakers will be Simon Bristow and Chi Cheung, from Deloitte Digital.